A Parent's Quandary of Choice - What's best for my child? A Parent’s Quandary of Choice – What’s best for my child? 6 Mistakes Every Parent Makes! How do you know that your young one’s childhood is going to be a happy one? Decisions like “family planning” are never simple and nothing in life can prepare you for this. it’s something you have to exist through, experience the pleasure & agony of being a parent or shaping to be one. 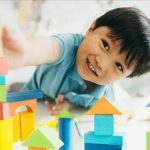 This article is addressing questions on how to choose the best pre-school for your child which simplifies the 1st phase of your most important responsibility so here we go, folks. Firstly why is preschool education so valuable? 5 reasons why PRE-SCHOOL EDUCATION is very important! 90% of child’s brain manifests before the age of 5, you would desire to use this to your advantage. You will secure the RIGHT start of a ‘long’ learning journey. You will sow the conceptual seeds of learning EARLY. You will PREPARE your child for the long ride ahead. Look for content & systems which drive the curiosity quotient & promote exploratory learning. Talk to the educators & gaze their reasoning. Look for modern educational materials & teacher aiding resources which will prepare the learners of tomorrow. To say the least, the school should have a safe & nurturing environment. An outdoor play area is a valuable asset. What your aim should be for these crucial 4 years? Explain things in touch with reality! Ensure body language & personality development! I hope this article will be a good start for you to do your research & do the best you can for your child everything else will take care of itself. Do reach out to us at [email protected] for further discussions or any questions you may have. Posts like this breihtgn up my day. Thanks for taking the time.